Esteemed camera retailer Wex has got some fantastic deals on a the moment - this is a pick of the best. Oh, hello. We know exactly why you are here. You want camera and camera accessory deals and you want them now. Well, Wex has got you covered. The camera retailer is always one of the star attractions for Cyber Monday and this year is of no exception. 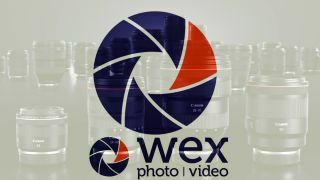 Wex has decided to discount many of its products - from filters to lenses to storage. Here's a pick of the best Cyber Monday camera deals we have seen from the UK retailer so far. We will be updating this page often, to make sure it's packed with the latest deals so please bookmark and keep checking in. Save 10% - This is a great deal on the latest budget model in the GoPro model. This mini actioncam gives you 1080p HD video, and 10MP stills, and is waterproof down to 10m. Save £600 - With this double cashback offer from Wex, it's the cheapest the Canon EF 100-400mm f4.5-5.6 L IS II USM lens. This is an ideal lens for those looking to to do a variety of shooting - from wildlife to sports. Wex is currently offering 20% off of all new SanDisk products - including the incredible SanDisk 128GB Extreme Pro 95MB/Sec SDXC Card, which offers speeds up to 90 MB/s (600X) and read speeds up to 95 MB/s (633X) and is shock proof. There's a great 10% offer Panasonic lenses at the moment. This deal includes the superb Panasonic 15mm f1.7 Leica Summilux DG ASPH Micro Four Thirds Lens, which allows photographers to capture bokeh, offering an angle of view equivalent to 30mm on full frame. 10% off selected Tamron lenses today... the Tamron G2 70-200mm f/2.8 is £1160.10 for instance. Also in the deal are the 100-400mm supertelephoto and the 18-400mm superzoom. Canon and Nikon fits are available for these three different lenses. Get £50 off the Olympus E-PL9 - a camera which builds on the previous E-PL8 model with a 16MP CMOS sensor that allows for 4K 30P video. The Pen range is one of the nicest looking camera ranges around. Save £250 on one of the best cameras around at the moment, the Canon EOS 5D Mark IV. Featuring a 30 megapixel CMOS sensor, maximum ISO sensitivity of 32,000, and an expanded 61-point AF system this is the ultimate DSLR. You also get a free battery grip worth £299.